Because I write and produce completed demos so fast (up to a song a week for a quite a while), I’m often generating vocals from one pass. Or starting my song idea from a sung vocal. So Melodyne is awesome for tweaking what I already have, or changing to a different key. Or generating harmony ideas. Or fixing poor bass playing and intonation (most basses have poor intonation on certain frets). Unlike Autotune, it preserves vibrato and pitch slides, is fantastic for stretching notes or fixing phrasings, and doesn’t create that odd phasing sound when it’s inserted. People have the wrong idea about apps like Autotune and Melodyne – sure they can be, and are, abused by talentless losers, but they are also essential tools when it comes down to a choice between a perfect emotive delivery marred by a wrong note, or a technically pitch-perfect and soul-less performance. Give me the first option anytime. 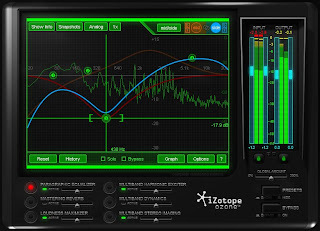 Long considered as the perfect all-in-one mastering tool for the semi-pro or lower-budget mastering engineer, this version has taken another step in the pro direction with the addition of mid-side processing options and a slew of other cool features. 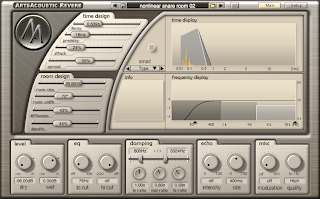 One of the highlights for me is the ability to solo a frequency by option-clicking in the EQ window. It’s seldom I have to pull in other plugins or external processing to complete a mastering job. Wow – with the advent of Logic 8, they have really upgraded this plugin significantly. It now models five new types of compressor, including two class-A types (including Urei), VCA, FET, and Opto. My favourites are the Urei and the FET. It has some cool extra features – overload clip type, EQ on the sidechain (for frequency-selective reduction), and a “mix” slider. 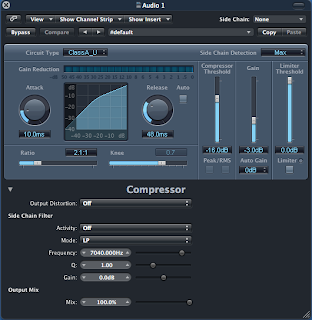 This last is way more powerful than you can imagine – with just a tweak of this you can easily recreate parallel compression within the channel signal path – set the compressor to “smash” settings and then mix it back a bit. This is a digitally generated reverb effect rather than one of the currently popular impulse-based units, but somehow it it just sounds great. It has plenty of parameters to tweak and almost every patch has that beautiful analogue quality to it. Low on the computer resources too. Try it – you’ll like it. 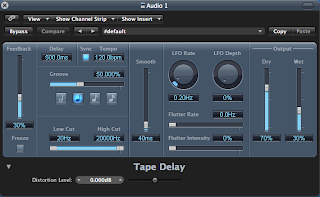 Okay, now Logic has the new Delay Designer – it’s flashy and cool. But I still love the ol’ Tape Delay. It does the most awesome dub effects, and is just made for tweaking as the mix progresses. It has filters that work on the feeback section so that each echo progressivley grunges out more and more, and an authentically perfect feedback that goes crazy in a sweet analogue way when you wind up the feedback slider.